Then make sure that all of the information about your business is up to date, accurate, and includes the keywords you’ve identified about your business, products and services, location and customers to help improve your search ranking. The free service creates a directory listing that Google uses when customers search by business name, service or product, location and keywords. 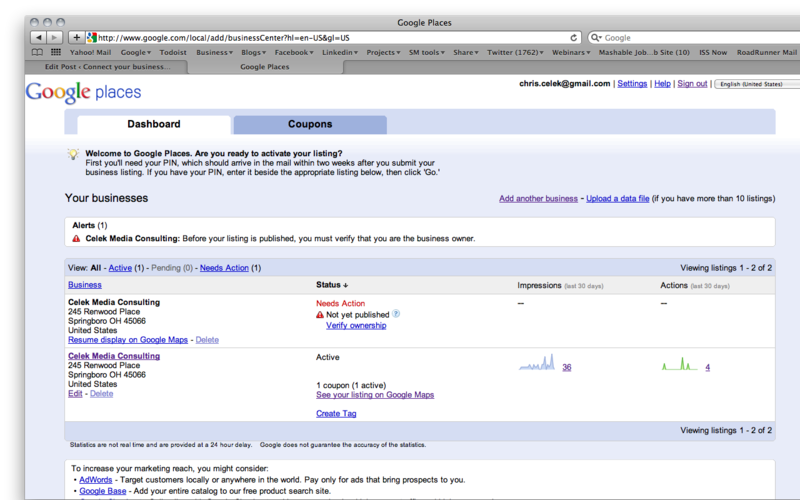 Google does not guarantee search rank but your business profile is used by Google to determine search results. So, it’s a good step to take to get the opportunity to be found in search. 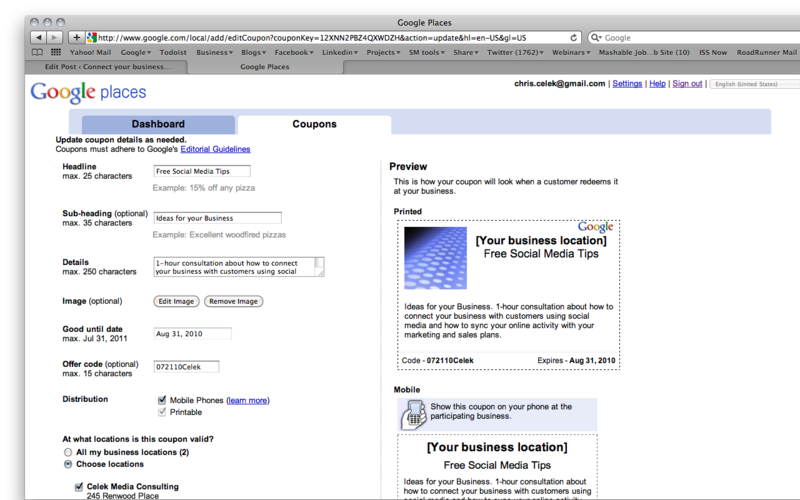 You also can create and offer coupons that appear next to your business listing in Google Maps and other Google search results. This service also is free and it creates a unique redemption code and an expiration date for your sales campaign. Importantly, Google creates and displays web and mobile versions of your coupons so that you can encourage customers to redeem them in any way they choose. This entry was posted on Saturday, July 31st, 2010 at 11:41 am and is filed under Business, Coupons, Google, Maps, Search Rank, Social Media. You can follow any responses to this entry through the RSS 2.0 feed. Both comments and pings are currently closed.